The flexible Multiplier: What is it and when can I use it? Already opened a trade but decided to decrease your Multiplier? 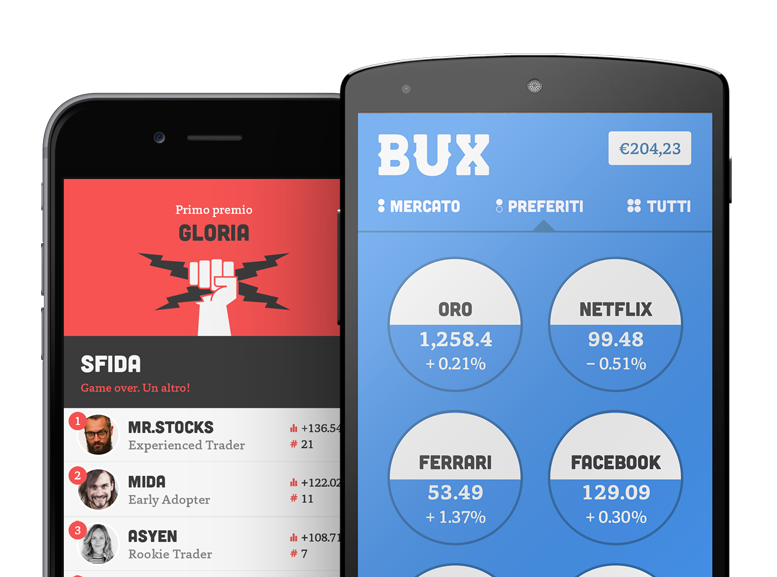 No problem, with BUX you can change the Multiplier’s value even when you've already opened a trade. Maybe your trade is not going your way. Or you decided that you want to lower your risk exposure. In these cases, you can decrease the value of your Multiplier while keep trading with the same trade value. Say you have £500 in your account and you invest £100 in Ford with a Multiplier of x4. So far you have only spent £100 of your account balance and your trade value for the trade is £400. Now you have decided to decrease the Multiplier’s value. In this example, you can lower the Multiplier either to x2 or even x1 (= no Multiplier). Accordingly, you will need to increase the invested amount to £200 or £400 respectively to keep the trade value at the same level. Switch this option on in the Settings of your BUX app. This feature cannot be implemented in all trades. The reason is the following: If you decrease the Multiplier, the final trade value must correspond to specific round values. This simple rule has been put in place to keep the Multiplier easy and trading with BUX crisp and clean. Practically speaking, let’s say you have invested £200 and used a Multiplier of x4. In this case, you can decrease your Multiplier either to x2 and increase your invested amount to £400; or decrease the Multiplier to x1 and increase your invested amount to £800. However, you cannot use a Multiplier of x3, because you would have to increase your invested amount to £267 which is a sum that cannot be traded. From 10 – 50, you can trade half values (= 15, 35, 45, etc.). From 60 – 100, you can trade decimal values (= 70, 80 90, etc.) and the trade value of 75. From 100 – 200, the list continues with increments of 20 (= 120, 160, etc.) and you can also trade the values of 125, 175. From 200 – 500, the list continues with increments of 25 (= 225, 350, 475, etc.). From 500 – 1000, the list continues with increments of 50 (=550, 600, 750, etc.). After that, the list continues with increments of 250. Another thing that you will have to keep in mind is that you cannot increase your Multiplier after you have opened a position. For example, if you open a position with a multiplier of x10, you cannot move up to x20. However, should you open your position with x20 and move back to x10, you can move back to x20 again (unless you have opened a position before Feb 2019 – in this case, the Multiplier might have been decreased below x20). * The flexible multiplier cannot be changed outside office hours (from 22:00h Friday until 22:05h BST on Sunday). Don’t forget to also take a look at What do I pay for the Financing Fee? and grasp your chance to contemplate over the BUX fee overview on our website. If you have any further questions, please feel free to contact us via email at BUX Support.